Brother Imani founded this Organization to help the orphans children and children of poor parents which their income is less than $20 who have been missed school fees,at all Girls who had missed school and they have brought up to care their children at home. So Brother Imani began to go outside the camp for the purchase Mangos, Maize, Oils, tearful by using bicycle and sell it into the camp and pay school fees for children,bought small notebook, pens and so on... Also we helped them to teach the word of God. In 2002 W.A.G program stands after seeing the ways that we have been abused, When we did our business into the camp,We stopped our business to go outside the camp and we started by helping to do so inside the camp. But because our business had not enough activities into the camp and income became very low, we decided to stop the project temporally. So that we would like to look for other way can help us to conduct our project. 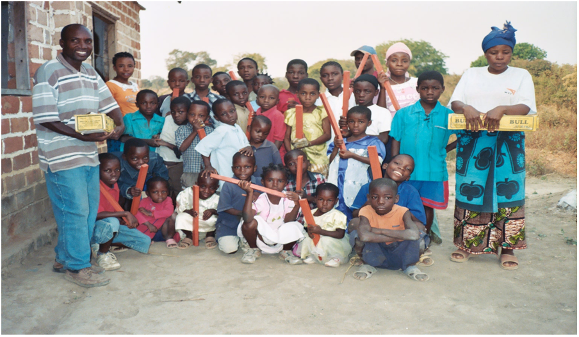 In December 2005 We helped many children , but was not enough to fifield our goal. W.A.G program did not get any support in 2005. but our members who were involved with us, tried to give some support to enforce this organization . In Maine, we thought to restart this organization, but was absolutely not easy to restart it there because ,we suggested to establish our Headquarter in phoenix where we restarted it in 2005. And In Maryland we met with other friends to ask directive how can I restart my business . That friend was clear and he gave us some direction that can help us to restart it. After to find a good way. W.A.G.PROGRAM has Headquarter in Phoenix, ARIZONA and we have Regional offices in other countries and some states in the united state. Wag Program is composed of members whom named the Family founder. And administered by Coordinator, Directors, Facilitators, Assistants Directors, Comptable , Auditor and Facilitators Team. Some employees walk to go to work and others take public transit such as bus or taxis. In United States some use the own cars. Others use train to go to work and make league in the best movement. W.A.G.PROGRAM supposes to open Stores in different centers to facilitate our activities. This organization still not has any fund, but we need to get help from different organizations and to whom he can feel being in help. I should not give the very long history for this organization , but every reader of this site will understand this brief history provided above and to feel that he might be able to be goodness kindness and Honesty to support us.